This looks absolutely amazing, and I'm rather inspired to do it myself. I've really only done jams and jellies before, though, so I'm wondering if this can indeed be done with only a boiling water canner or if I'll need a pressure canner. It certainly sounds like there should be enough sugar to be safe without using a pressure canner, but I figure better to ask than not. Thanks! A boiling water bath is all you need for this recipe. In general a pressure canner is usually needed for low acid foods, meats, fish, soup and such. In some ways this is easier than a jam because you don't have to fuss over a set point. Good luck! Mmmm! These look fantastic! I am going to pick up some at the market and make them. Yum. I found some great kumquats at the Saturday Santa Monica market, rushed home and made this just as written. I wish there was a way to describe the perfume in the house while these were cooking and the glistening color of the syrup, like molten glass. This is my first attempt at canning (in at least 20-25 years), and I'm so happy with the results. Thank you, Nina. This is a huge hit with me. Janet, I am so glad your re-entry into canning went so well! So you don't bother with taking out the seeds? I've always done the tedious job of slicing and discarding the seeds, but if I don't need to I'll be making lots more of this! 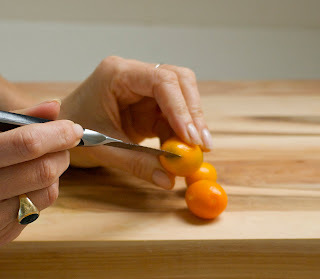 Kumquats make my favorite jam so I can't wait to try your recipe. Call me lazy, but no I don't seed them. The thing I love about this recipe is how the fruit explodes in your mouth and if you seeded them you wouldn't get that effect. So yes, you do get a few pips in your mouth, but they don't bother me. Hi Nina, Thanks for your blog. Fun read. My Kumquat harvest was large. 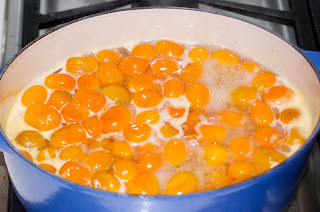 Couldn't eat enough fresh kumquats so decided to preserve them before they spoil. I'm going to try your method, with the boiling water bath. I'm guessing they will keep for about 12 months when processed this way. 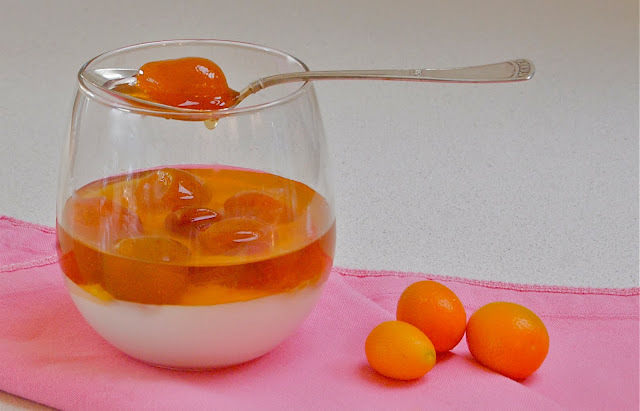 But I've also researched other kumquat recipies that don't require a water bath, but you keep them in a sugar syrup under refrigeration and use within 2 months. Do you have any experience this method? These will keep refrigerated for a month or two, the sugar is a natural preservative, but they will not be "shelf stable". That said , don't be afraid of hot water baths, they sound like more work than they are. I used this recipe as a starting point for some nice limequats. Added some cardamon pods. More tart but very tasty. The syrup is amazing in tea or soda! Thaks for the inspiration! Wow, thank you. Every year my kumquat tree produces more than I can eat and no one here seems to want any fresh ones. Maybe they will try a jar of these. If not, at least I will have them to enjoy.